“This is one of those pyramid schemes.” How many times have you heard this objections? When it comes to dealing with the people that you know best, your warm market, you need to keep in mind that they know a lot about you. They are professionals at picking up the subtle changes that occur in you when you’re nervous, desperate, or high pressure. When most people in sales and network marketing try to handle and overcome objections from their warm market prospects they usually end up falling apart and coming across as desperate or high pressure. And one of the most important things sales professionals and network marketers need to know is that people don’t want to buy from or join people who are desperate and/or high pressure. People want to work with champions and people who don’t need them to succeed. 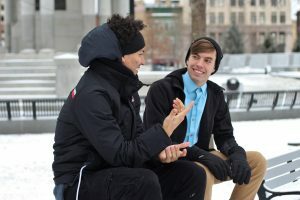 So the more your posture and positioning indicates that you’re the one doing your prospect a favor, not the other way around, and that you value their business, but don’t need it, the more attractive you and your offer will seem to them. So when attempting to prospect, invite, sell, recruit, or handle objections from your warm market, it’s extremely important to make sure your posture is strong and that they know that you’re the one doing them a favor by offering them your product, service or opportunity. Overcoming objections about your business opportunity is a skill which needs to be developed. So, in today’s post, I will be sharing my best strategy on how to handle objections from warm market prospects. Objections from your warm market prospects mean you have a prospect who has interest, but needs new information to make a new decision. Your job is to provide that new information. Objections mean your sales progress is moving forward, not backward. If I were to come across any objection from my warm market prospects, this is what I will do. “Charlie, to be realistic with you, when someone I don’t know says something that seems non-serious, skeptical, or even ridiculous, what I have always say, is, thank you very much, I don’t think that this is for you, have an amazing day ahead! and then I hang up the phone or leave the scene. beliefs were based on inaccurate assumptions. ‘But, because we’re friends and because I actually do love you, before you make a final decision on this and you let that be the reason why you miss out on this, I feel like I should at least be a good friend to you and let you know the truth. Then you pause and I can assure you that almost all of the time, they will be interested to know what it is and if you are good at closing, you will immediately close them at that same spot. Your job is to contribute the possibility of your opportunity to them. The secret to successfully managing sales and network marketing objections is this. A genuine desire to understand and resolve a prospect’s concerns, and a willingness to walk away if the relationship wasn’t right for either party. Simple! If you embody those two traits, it won’t matter what objection your prospects throws at you; you’ll be prepared to respond in a way that has everyone’s best interests in mind. And trust me, that’s often all it takes. What about you? What objections do you hear most often, and how do you handle them? Share your experience in the comments below, then get back out there and crush it. 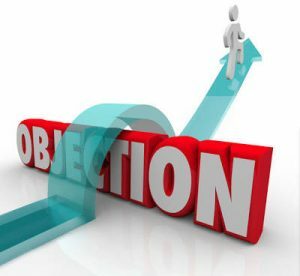 If you enjoyed this post about How To Handle Objections From Warm Market Prospects, share and comment please. 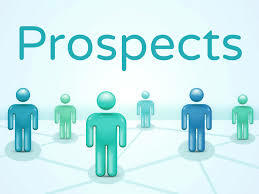 « HOW TO PROSPECT CO-WORKERS – Script Included. Thank you. Glad you got some value.